Antaes innovates and among the many surprises, one of them was that the Winter Event was a Winter Week-End! Usually organized during a December evening, between Geneva and Lausanne, it has been totally rethinked. 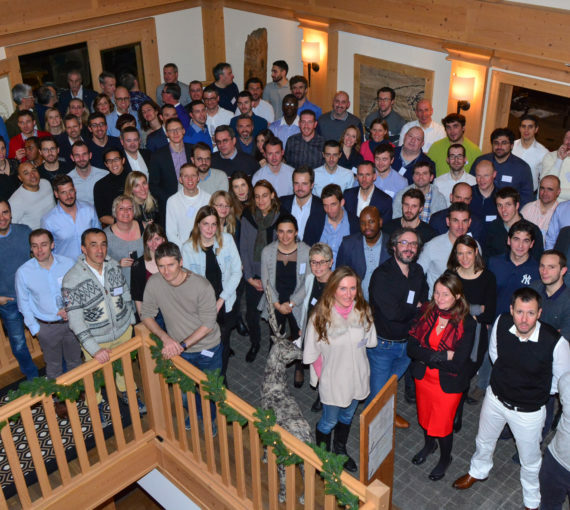 Antaes was pleased to welcome all its employees in the chic and relaxed setting of the Chalet Royalp, in the heart of the Villars-sur-Ollon ski resort. With this new concept, participants were invited to attend our Kick-Off Meeting, which opens each new year with the presentation by the Management Team of the achievements in 2018 and the objectives and projects for 2019. They were then invited around a mountain meal to fully enjoy the late evening and share unforgettable moments. A music band also played specially for Antaes. Last but not least: everybody could enjoy the snow fallen the day before and spend the day on the ski slopes or relaxing at the hotel spa. Thank you to our hosts and all our staff for contributing to the success of this event!